How vulnerable to disruption are you? Businesses and organizations the world over are facing change at an unprecedented rate. While every industry and individual will feel the impact of trends ranging from artificial intelligence to robotics and nanotechnology, some of us are more vulnerable to disruption than others. This simple diagnostic tool is designed to help you gauge how at risk of being disrupted you are so you can start preparing now. We operate in a market dominated by a small number of large operators. Profit margins on our products and services are generous. There is strong cohesion and unity within the team and we generally agree with each other’s point of view. Government regulations and high setup costs are significant barriers to entry for new competitors. The organisation is run by seasoned leaders who have significant leadership experience. We make decisions based on data-driven insights and research rather than gut feel or intuition. Consumers in our market find it difficult to change providers owing to the complexity and cost of doing so. We have a strong heritage and many years of success behind us. Our business systems and processes are proven and predictably effective. We have significant financial and people resources at our disposal. Much of our bread-and-butter revenue comes from high-skill, repeat and routine work. We have experienced very few significant failures and strategic missteps in recent years. Long-term projects and initiatives are well-resourced and clearly mapped out. We routinely engage professionals to conduct formal market research with our customers. Our proprietary assets or intellectual property are a key source of competitive advantage. We regularly attend industry conferences and subscribe to all the leading trade journals/publications. We have highly skilled individuals and teams that focus on innovation, research and development. Quality control and performance metrics are closely monitored to ensure efficiency and effectiveness. You’re almost there! To access your disruptibility score, please register your details below. We take your privacy very seriously. None of the information entered will be shared with any third parties. 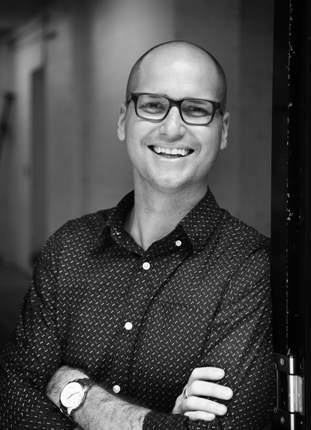 You may however receive ongoing insights and information from Michael McQueen that could be valuable. You can unsubscribe from these updates at any time. If you have been given a user code for completing this diagnostic, please also enter it below. Congratulations, your score places you in the lowest category of vulnerability to disruption. Your organization clearly has a culture, structure and market positioning that means you are well-placed to navigate the changes that lie ahead. However, it pays to stay vigilant. The speed and pace of change means that a secure position today may not remain so for long. Congratulations, your score places you in the second-lowest category of vulnerability to disruption. Your organization clearly has a culture, structure and market positioning that means you are well-placed to navigate the changes that lie ahead. However, it pays to stay vigilant. The speed and pace of change means that a secure position today may not remain so for long. Based on the ratings you provided, unfortunately you are highly vulnerable to disruption in the years to come. Your organization has a culture, structure and market positioning that may have served you well in the past but could hold you back in the future. Be encouraged however by the fact that the vast majority of organizations and businesses are in the exact same position. That said, the time to start preparing for the turbulent times ahead is now. Based on the ratings you provided, unfortunately you are extremely vulnerable to disruption in the years to come. Your organization has a culture, structure and market positioning that may have served you well in the past but will likely hold you back in the future. Be encouraged however by the fact that many organizations and businesses are in the exact same position. That said, the time to start preparing for the turbulent times ahead is now. 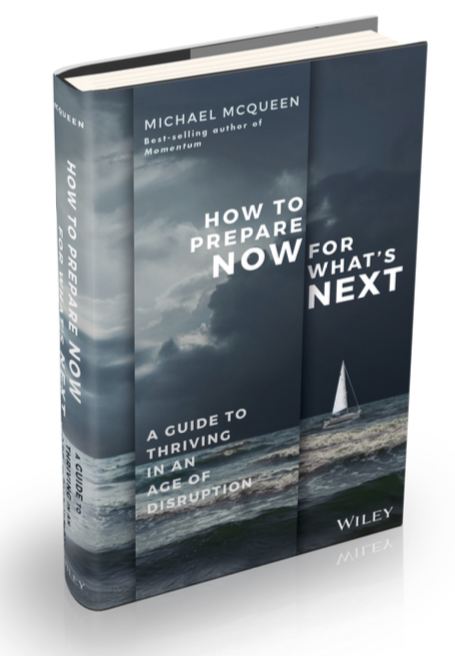 If you are interested in gaining a clearer insight into the disruptions that will impact you in the coming years plus a game plan for staying one step ahead, you may want to check out my new book How to Prepare Now for What's Next.